When I first heard of this thing called Playster, I immediately questioned: Is that really the price? Are you sure it’s unlimited books? Is Playster a scam? I knew I had to dive in and do a complete Playster review to find out firsthand. While Playster offers all forms of media, including books, audiobooks, music, movies, and games, I was most interested in their audiobook program. You see, I’m an audiobook guy. 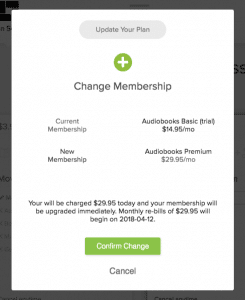 I listen to books on the go, and I’ve been a member of Audible for a long time forking over $15 every month so as to receive my one monthly book download. But I absolutely hate waiting an entire month for my next audiobook because sometimes I just binge listen. And besides waiting, my only other option has been to buy audiobooks for $15+ each or wait even longer on the public library’s waitlist – 3 months and I still haven’t gotten Ready Player One. This was a bit of a pain point for me. 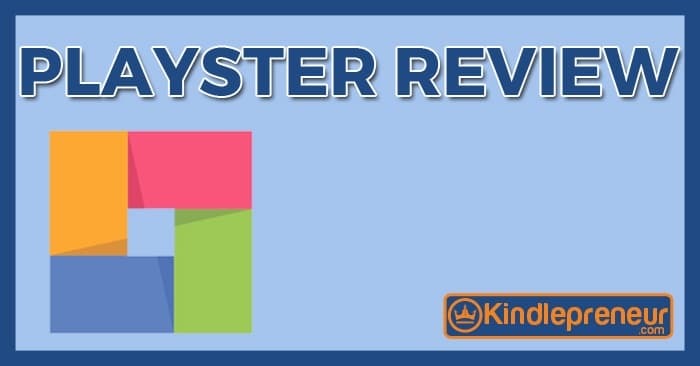 So when I heard that you could get unlimited audiobooks or ebooks from Playster each month for just $14.95 each, I had to check it out. What is Playster and how it works? Is Playster a scam or is it legit? I also want to be upfront, but the links used for Playster in this article are an affiliate link and if you end up signing up for a free Playster account, I do get a commission. But understand that that’s at no extra expense to you, and that this DIDN’T affect my thoughts on the product. I just want to be upfront and thank you ahead of time if you do use my link. PS: If you try to click on the Playster link, and it doesn’t open, you probably have an ad blocker – I have no idea why, but it stops it from opening. 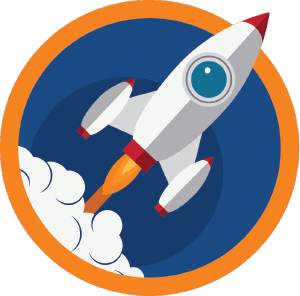 Playster has a pretty massive library that includes over 250,000 ebook titles, 50,000 audiobooks, thousands of games, and millions of songs in which you can get unlimited access for a monthly subscription. It’s similar to Netflix where you can stream all of these different types of media on your computer or on your mobile phone through the Playster app when on the go. But what I like most about this is that I can choose to pay a smaller priced subscription for one particular type of media, like only books or only audiobooks, for example, or I can choose to get unlimited access to ALL of them for a reduced total price. I’ll admit, when I first heard of Playster, I was skeptical. It seemed like it was too good to be true–especially for the Audiobook Membership – I mean, look at those prices! 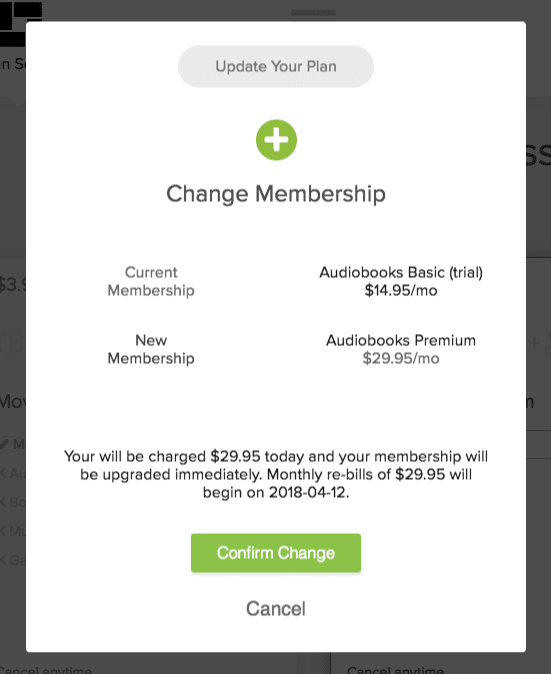 How could they give you unlimited audiobooks for less than $15 per month, when EACH audiobook usually costs that much on Audible? I knew if Playster was legit, they are going to blow Audible out of the water (where you can only access one audiobook per month). Well, I checked it out and am happy to share with you the good, the bad, and the ugly in this complete Playster review. Want your own FREE Playster Trial? Click here to get started today. How Much Does Playster Really Cost? The picture above showing the different prices per month per media is correct…except for the Audiobooks. That’s because there are actually two audiobook plans to consider: Basic and Premium. Playster Audiobooks Basic costs $14.95 per month and you get unlimited access to all the audiobooks in their Basic category. In my opinion, the Basic Plan is pretty worthless. Pretty much all the books I was excited to read are considered Premium. Playster Audiobooks Premium is $29.95 per month BUT you get unlimited access to ALL of their audiobooks. No limits. No credits. Listen to as much as you want, when you want. The tricky part is that it’s difficult to tell which books are Basic and which are Premium by just browsing unless you know what to look for. If you sign up for the free trial for Playster Audiobooks, you’ll be able to see all the audiobooks, but you’ll only be able to listen to the Basic audiobooks – the free trial only works for the basic plan and not the premium books 🙁 It’s only upon clicking a title that isn’t part of Basic, that you’ll get a popup like the one below that tells you the title is part of the Premium plan and you need to pay now to upgrade and listen to it. And more than likely, you’ll find most of the popular titles are in fact in the Premium category. 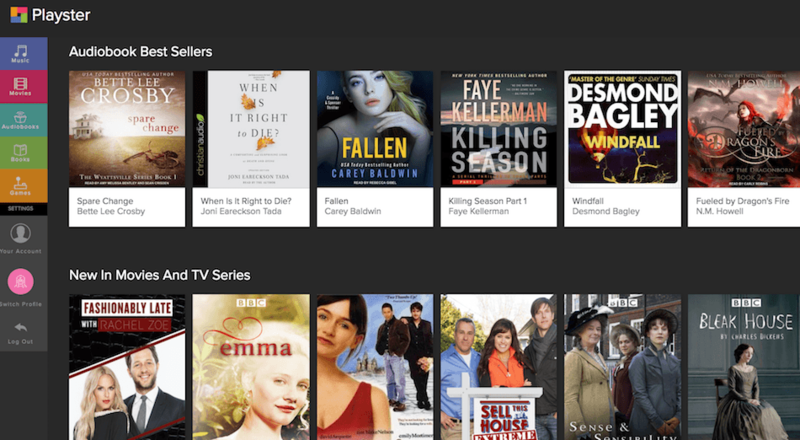 So what you’re looking for is the Premium Audiobooks have a star in the upper right-hand corner. It’s hard to tell at first what those stars mean, especially when all the books you want all have the star, so they look the same. This has upset some users in the past, so it’s a good thing to be aware of ahead of time. 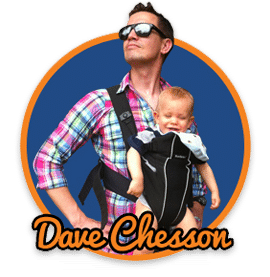 And Playster is working on making the difference between Premium and Basic Audiobooks more clear for us users as well as being upfront about this on their homepage – or at least that’s what their customer support has told me. Since the Premium Audiobook Plan is still less than I was spending per month through Audible, I decided to upgrade and give it a try. As you can see, there are plenty of inexpensive options to give you unlimited access to the exact media you want the freedom to use. You can start with a free trial to access all of them, and make your decision from there based on which you like best and use most. Ready to check out Playster for yourself? Sign Up For Your FREE Trial here and enjoy it for a month. Now, let’s move on o the overall pros and cons to Playster. Completely Free 30-Day trial: Allows you to test out Playster and see if they have the media, books or audiobooks you want to listen, watch or read. This sort of takes out the guesswork and makes it easy for you jump right in and start binge reading. Just be advised that you need to put in a credit card number in order to start your free trial. Unlimited Acess: Unlike Audible, you can access as many audiobooks or ebooks as you can handle. For us binge readers (or listeners in my case) this is huge. More Than Just Books In One Spot: You can use this one service for movies, games, books, and audiobooks which is convenient. You couldn’t ultimately combine your Netflix, Spotify, Kindle Unlimited, Audible account and combine them (but I’d never get rid of my Netflix…haha). Smooth Transition If You Switch Devices: Whether you’re listening on your computer and then jump to your iPhone, the transition is seamless and pain-free. This makes it really nice to quickly continue listening to a book on your computer and pick up where you left off when jumping to your iPhone. 24/7 Support: Try getting ahold of a useful and accessible support rep on Amazon…haha. But Playster, I got to do real-time chat with their support reps on their home page or here. This is SUPER helpful and a breath of fresh air. Customizable Playback Speeds: Unlike Audible, I can customize my playback speed to the decimal instead of the predetermined 1x, 1.5x or 2x of Audible. I actually prefer 1.7 as the perfect speed. Playster Is Missing Some Titles: Immediately upon signing up, I did a vast check of all the books I totally wanted to listen to. I found that the Playster Premium subscription described above had about 80% of the total books I was looking for. Either the title was missing completely, or the title was there…but in a foreign language. Imagine the shock I felt when I discovered that Andy Weir’s books were only available in Spanish! El Marciano anyone? But still, with 80% of the total books I want to listen to, with Playster I have enough reading material to last me 5 years worth. For that other 20%? I’ll just put my name on the waiting list at the local library. You Don’t Get to Keep Books: Unlike Audible and Amazon Prime, you don’t get to keep the books you downloaded. Once your subscription is over, your access to your library is over. But this isn’t that big of a deal. It is SUPER rare for me to choose to relisten to a book that I’ve already heard. So, this doesn’t bother me. 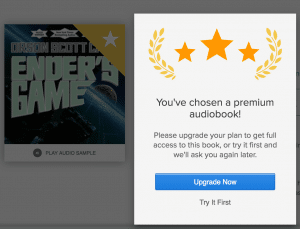 There are Two Plans for Audiobooks: Basic or Premium: Like was discussed before, I was let down to find out that if I really wanted to listen to all the books Playster has, I’d have to do their premium (29.95) instead of Basic. So it wasn’t as good of a deal as I was lead to believe. Dodgy Affiliates? : Apparently, in the past, Playster had an affiliate program and from what my research has shown me, they allowed anyone to be an affiliate and some affiliates started doing some really dodgy black hat stuff just to get people to click their link. That probably explains why their affiliate program was shut down for months, and when I applied, I actually had to do a real video Skype chat with them in order to be approved. Looks like they’ve corrected that issue, but wow – damage done. Audible VS Playster: Which is Better? Is Playster Legit or a Scam? Playster is completely legitimate and not a scam – but I do understand why some have called it that. When doing my initial research I came across a couple of posts and reviews of angry customers. 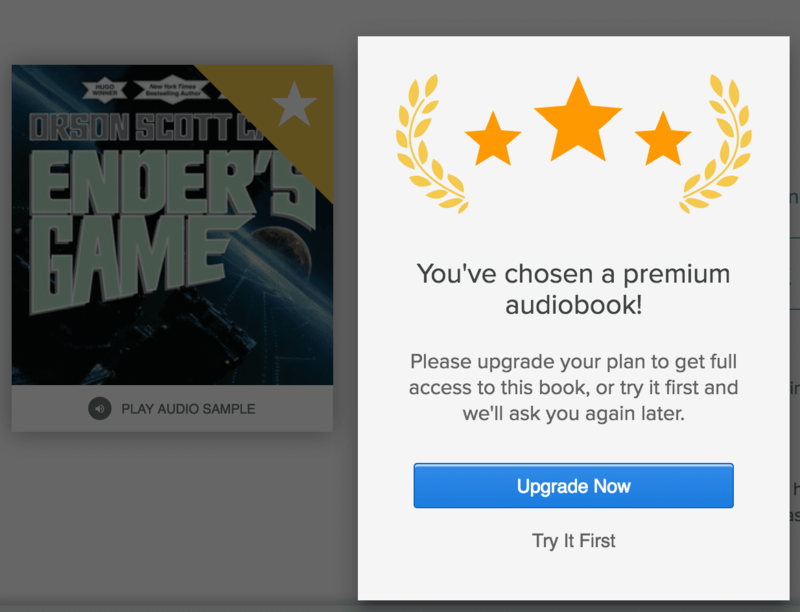 When you’re ready to sign up for your free trial, go through Playster.com and upgrade there if you choose to try Premium Audiobooks. Do NOT go through an app like iTunes because iTunes has their own pricing structure and they will charge you A LOT more. Some of the Playster.com reviews mention that users clicked on an audiobook only to get a pop up telling them it’d be $40 or $60 to upgrade (yet Playster.com says it’s only $30). These people were clearly using an app that had its own pricing structure, which can be frustrating and seem like Playster is a scam and charging more money than they say. This can easily be avoided by doing your signing up and upgrading through Playster.com, not through a third party app. In order to activate your free 30-day trial, you’ll need an email address and a Visa or Mastercard credit card. While they say Visa or Mastercard debit cards work, some have had issues signing up with a debit card. It was fixed once a credit card was used. So if you try to put in numbers for a debit card or if your PayPal is connected to a debit card and the trial does not start for you, try using a credit card instead. There is NO FEE to begin or cancel your trial. It really is free. However, there may be a $1 pre-authorization hold pending on your account, which will be returned to you within 3 business days. It really is a free trial, no worries. They’re not charging you to cancel. How Does Playster Pay Authors? Sweet deal for consumers, right? So, do authors get hosed? The answer: No….actually it’s a great deal for the authors. The way it works is that if someone reads 20% of a book, the author of that book is entitled to 70% of the profit. This is actually a better deal that authors get from Kindle Unlimited (KU). And, as an author, you can choose wether or not you want your book to be in their market place. 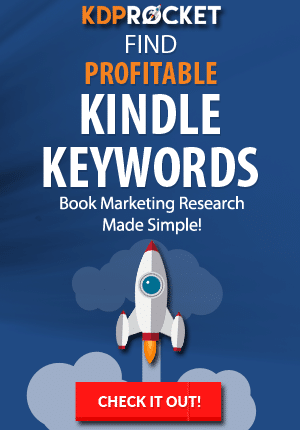 With Playster gaining major popularity in the market, this can be a new source of revenue for authors. And for my audiobook listening, I’ve done a complete Playster review and jumped from Audible to Playster – but I went with Premium. I listen to at least two books per month, and even more when I’m traveling for conferences, the military, or my daughter’s travel softball. So I was blowing through my one credit per month at Audible and then spending a more money so I could still listen to books on the go – cause who waits? With Playster, I’ll only spend $30 per month and I can listen to as many books as I want. With how much I was spending on Audible, this will actually save me a ton of money. However, if you don’t go through two books aa month, this might not be the best option for you. It’s true there are some quirks to work around and they were missing about 20% of the titles I was looking for. But they have SO many other books I’m eager to read, that I don’t mind the few titles they are missing. I’ve got my audiobooks lined up for the next year through Playster. Is Playster a scam? No. Do they have a ton of great titles? Yes. Do they have every single title? No. Do they have as many titles as Audible? No. Is Playster right for you? If you want to listen to >1 book per month, Yes. Can you give it a test run for completely free? Yes. If you’re curious to see what Playster can offer you, Sign Up For Your FREE Trial here and enjoy it risk-free for 30 days. Browse their entire catalog of audiobooks, books, music, movies, TV shows, and games and see if your style of books are in there. You can try it free for an entire month, and if it doesn’t work for you, then ditch them. You can cancel your trial anytime. As for me, I’ve got my audiobooks lined up for a year and I’m going to save a ton of money. Thank you, Playster!